An enterprise has its process, and the process always begins with an idea — a light bulb moment. For Illac Diaz, his light bulb moment transcended into an idea that’s exactly that: light. 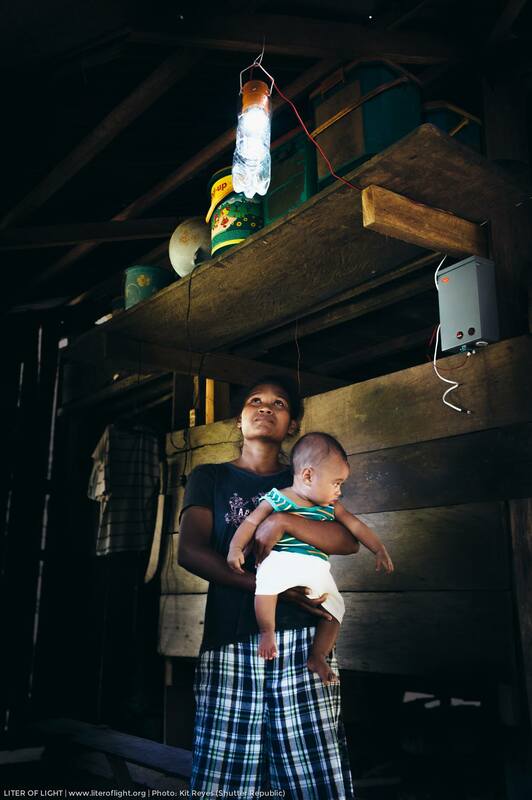 Most provinces in the Philippines do not have the privilege of accessing electricity as those living in cities. Light, ironically, becomes scarce. Not only to the children who study, but also to the parents who need to work, and families who only wish to feel safe within their own community. llac saw the opportunity in Tacloban after the devastating typhoon Haiyan that ripped families off their homes and livelihoods. He wanted to do something more for them that will push them to rebuild and sustain it. As the flood had brought in numerous used plastic bottles, Illac and MyShelter Foundation—a sister organization that builds homes made out of bamboo or recycled soil—saw that plastic bottles can be used as a waterproofing system. 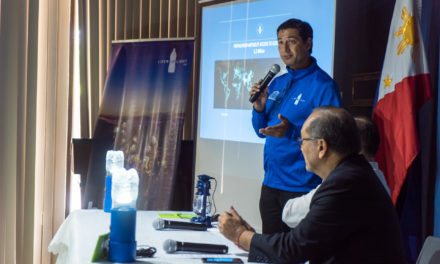 Seeing the potential of plastic bottles and the opportunity to reuse and recycle the product, he began lighting up the community with just that. Liter of Light is a name born from that experience. 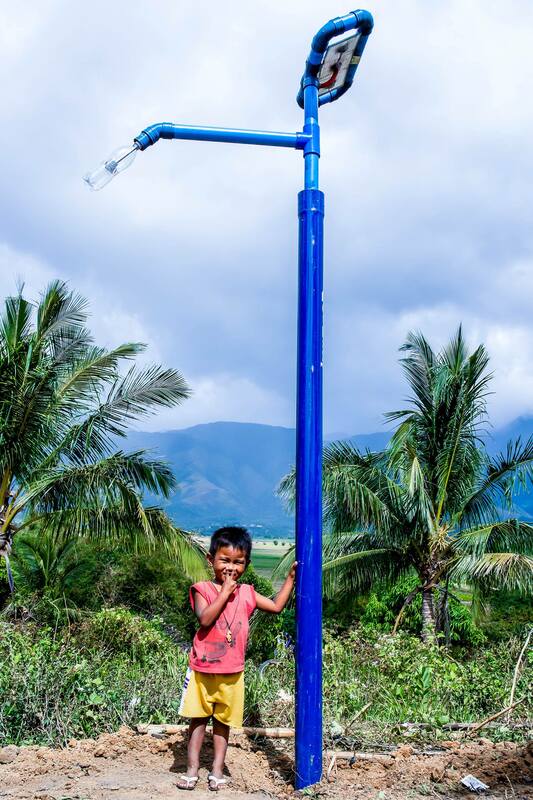 They built 7,000 lights in four months in Tacloban and soon began to expand to not just locally, but also towards international recognition that sprouted lighting projects in multiple communities around the world. The first lighting solutions made was the simple method of plastic bottles filled with water and bleach which illuminates when hit by the sun. Soon after, Illac and his team found ways to bring solar panels to communities to extend their lighting solutions to street lights and lamps. Illac was inspired by the business model of Habitat for Humanity, wherein he involves corporations and a variety of people in community building that’s sustainable for the the villages they visit. Their lighting solutions are also open sourced as materials used are common and affordable. “We believe that the same model will be successful in solving energy needs such as breeding lights for studying, and housing lights to be able to have a comfortable and safe home where the family can enjoy like access to radio, access to light, access to solar charging at the most minimum,” Illac says. To move forward with the model and the solutions, Illac and Liter of Light interacts with the community to encourage them to sustain the solution even after the workshops and builds are finished. Liter of Light will soon embark on an international voyage inside the Peace Boat. They are the only Filipino owned social enterprise that will join known personalities and advocates as they go around the world to spread awareness on the SDGs (Social Development Goals). 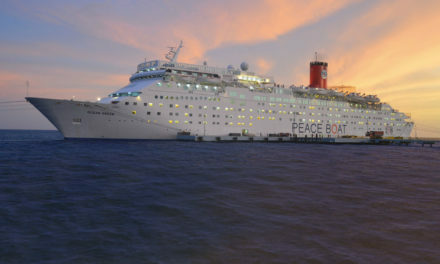 Peace Boat is a non-governmental organization founded in Japan. Advocates from around the world join in the journey to share their knowledge and open discussions. Seminars, workshops, and humanitarian aid are provided by those involved in its voyage. Liter of Light will be providing workshops to show communities how they can build their own lighting solutions. This year is Peace Boat’s 100th journey. We would like to ask you what you think we should do to bring the local technology gap closer? Let us know the groups or individuals already working towards these, let us know existing policies if we’ve missed any, and discuss tech education in the comments.